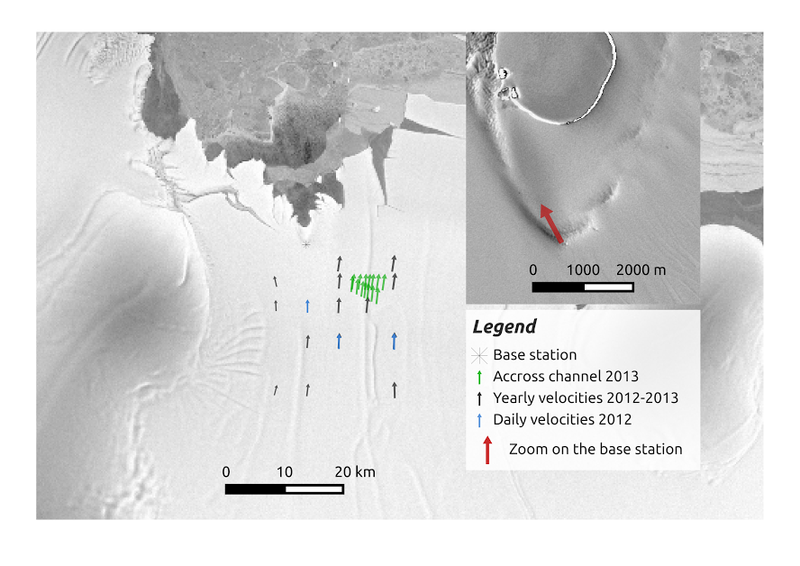 The Roi Baudoin Ice Shelf is buttressed by two ice rises and one small pinning-point at the ice-shelf front. During Be:Wise ( InBev-Baillet Latour Antarctica Fellwship) we have measured GPS surface velocities in order to calibrate satellite-flow fields. 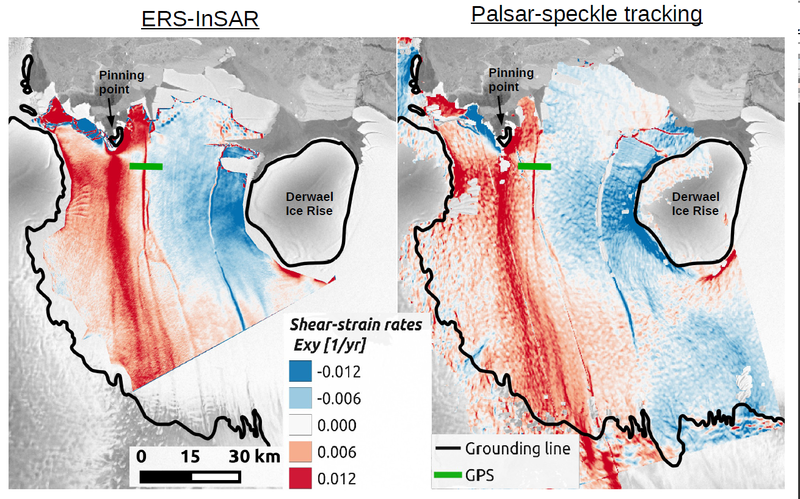 The strain rates below illustrates how important such small pinning points can be in defining the ice-shelf flow field on a large scale.